Like many teenagers, I have just completed my GCSEs, and enjoy seeing friends, going out, and having fun. But I am not always made to feel like a regular teenager due to the abuse I receive from other people because I have cerebral palsy. The condition means my speech is slurred and it is tough to coordinate my movements at times, and some people think this makes me different and strange. I have been called a long list of hurtful names because people do not understand my condition. But I’m not the only one, and I think that disabled people are frequently stereotyped and misunderstood. That is why, with Fixers, I am helping to set up a disabled choir in my town. I love music – it gives me a space to be myself and forget my disability. By gathering a lot of people in my area who are disabled, I hope we can show others that disabled people are just as creative and passionate as everyone else. In turn, I hope this will stop the prejudices disabled people face. 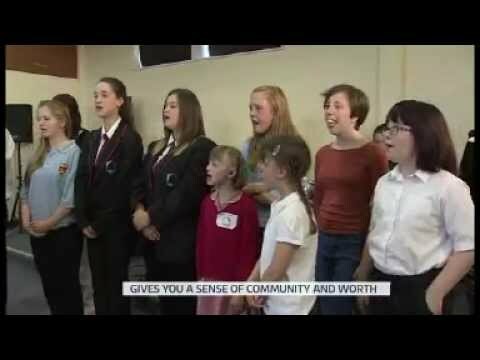 Thank you to Jane who appeared in my TV piece to talk about the choir I am setting up. I was featured in the Newmarket News. Click here to read the full article. Following my appearance on ITV News, I was featured in a variety of publications from across my area. These included the Grantham Journal, the Fenland Citizen, the Melton Times, the Newmarket News, and the Northamptonshire Telegraph. My story was featured in the Newmarket Journal and the Apostrophe magazine. Simply click the names of the publications to read my story.